There is just something about the DCC RPG. It's massive yet approachable. If you buy into the fairly random magic system, it's an amazingly solid game. 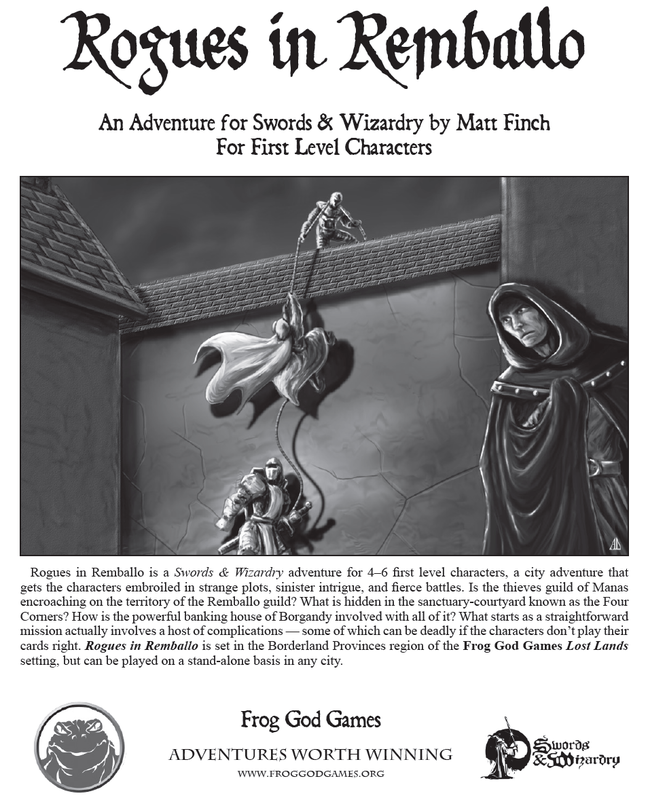 The art is some of the most evocative in the OSR and the adventures work well with other OSR systems (so long as you are comfortable converting on the fly.) 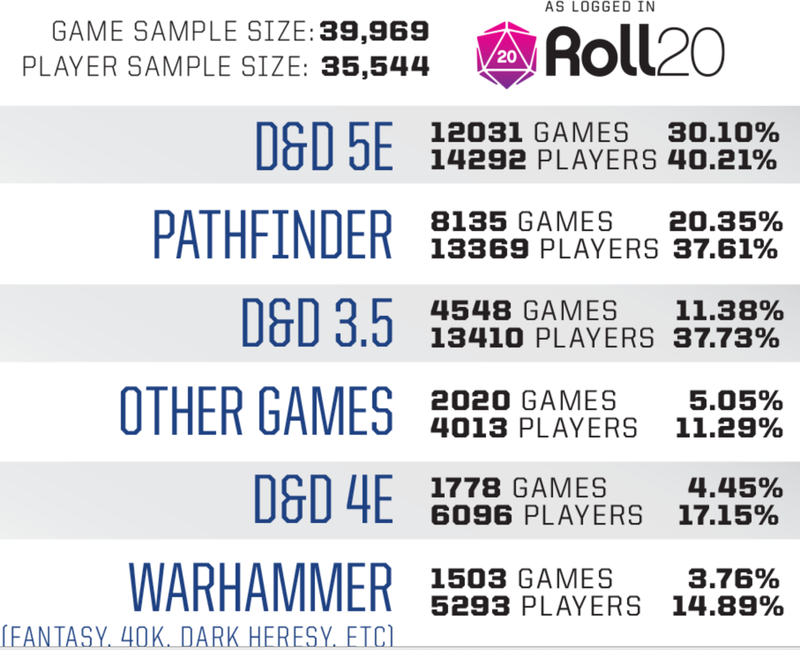 It's the first and only game that brought back that magical feel of my first few sessions of D&D as a teenager. It's familiar and yet comfortably different. 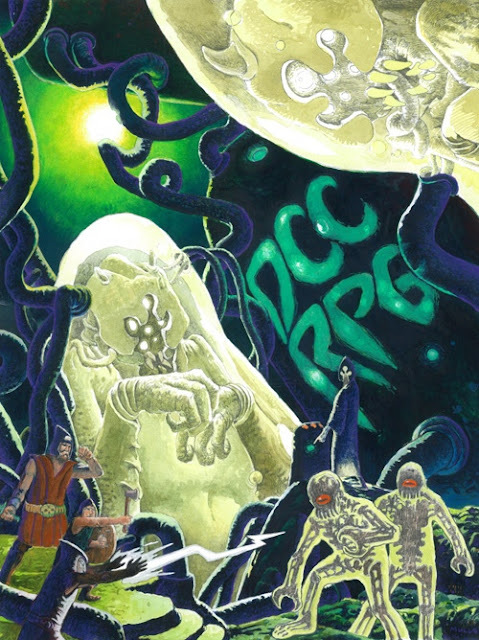 If you haven't checked out the DCC RPG system you really should, and Goodman games is giving old fans and new players an excellent opportunity to get the new DCC RPG 4th Printing. 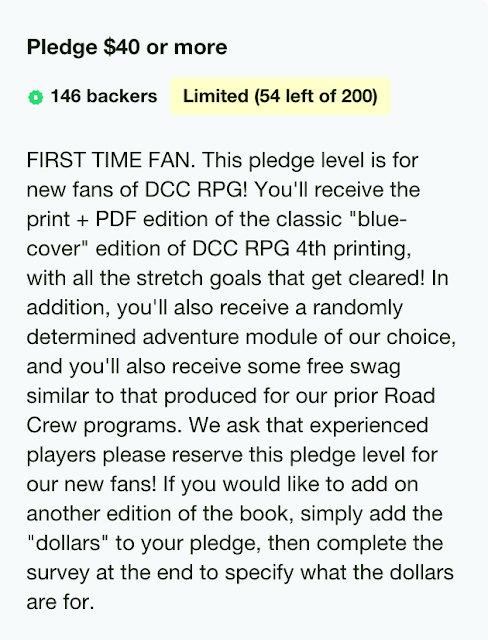 $40 for the new edition of the rulebook PLUS an adventure module PLUS free swag? 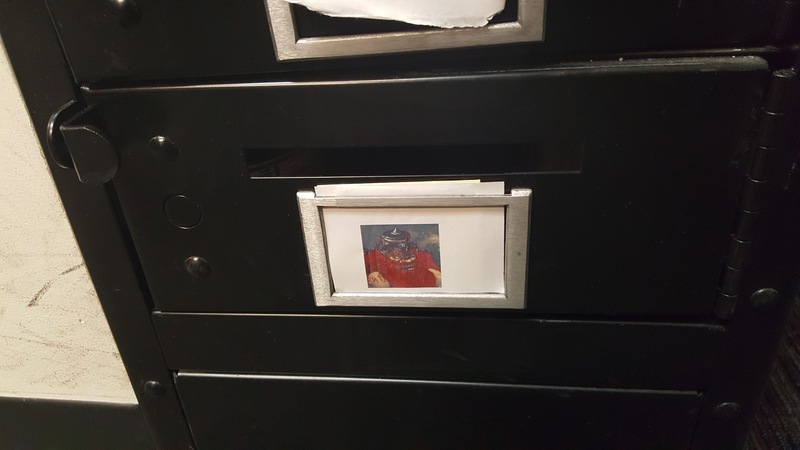 If you want in, know is the time to do so. Backer spots are limited for the extras . Me, I like the new Mullen cover. Damn it looks sweet. 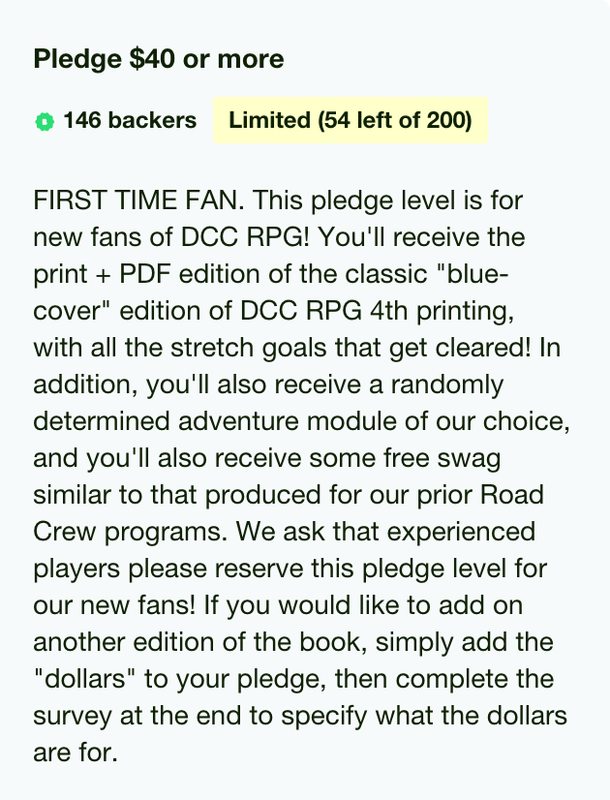 Sure, it's an extra 20 bucks, but it includes an art folio and for the DCC completist, this is awesome. 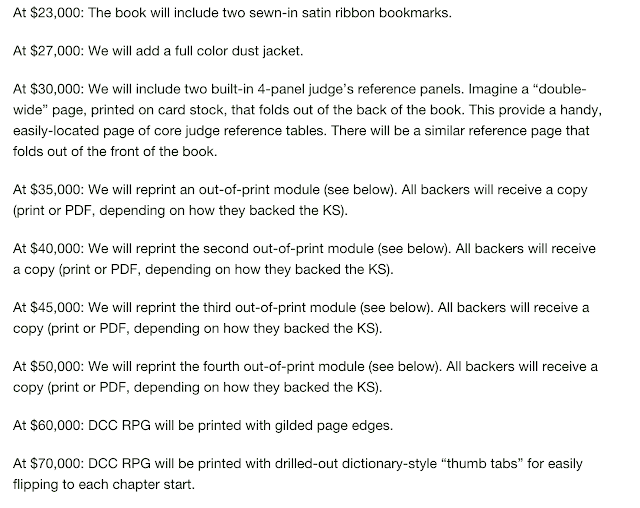 Did I mention the stretch goals? If you like Old School feel with modern production values, The Folio is the way to go. 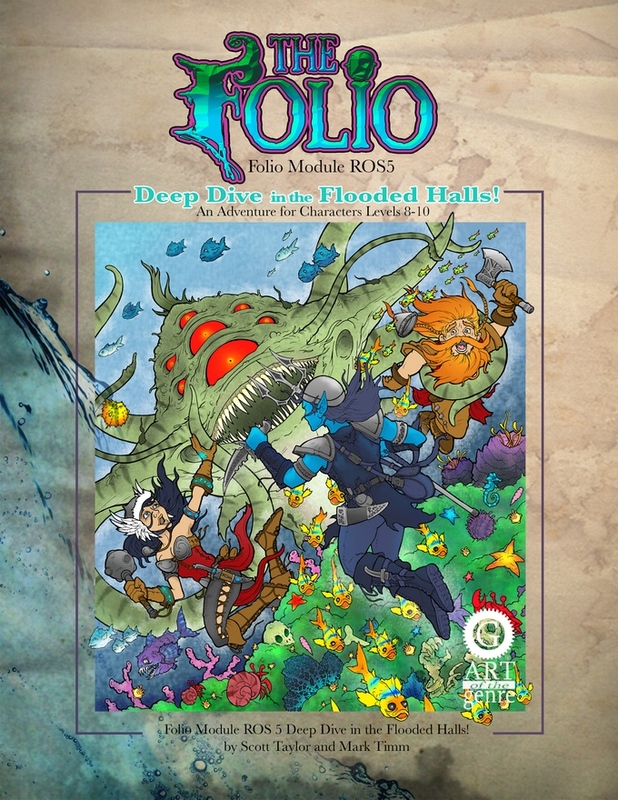 You can get The Folio 5 & 6 for a mere 10 bucks in PDF. P.S/ Did I mention I love the cover art to #5? Kingggg! I will have my revenge! Yep, I did it. 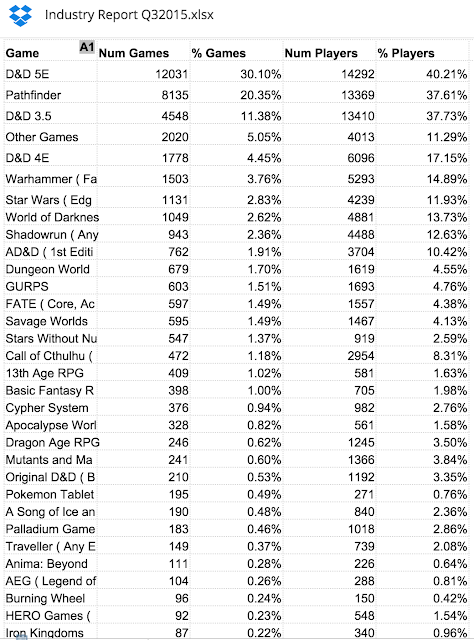 I sponsored a room for NTRPG Con 2016 for use by OSR Bloggers, Podcasters and Small Publishers (and the rest of the community that is involved in all things OSR.) 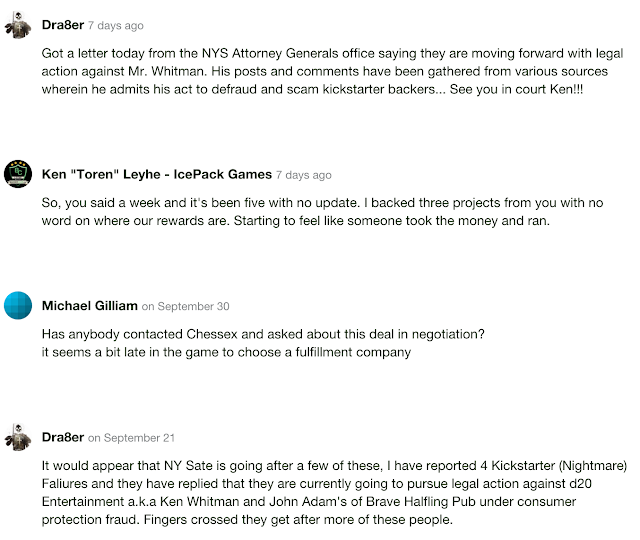 Bad Mike bills room sponsorship as a sort of mini-con, and he's right. There's a lot we can do to make this ours. 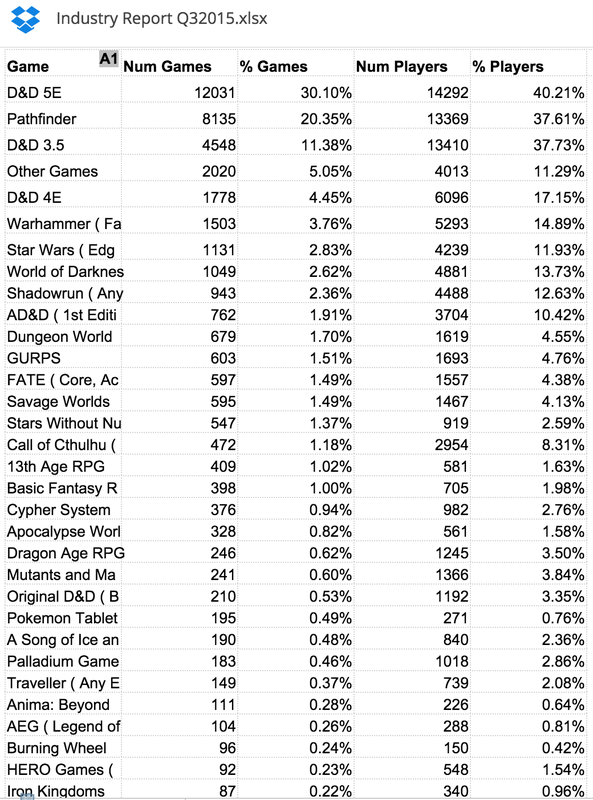 I'll be looking for suggestions for games to be run at our sponsored table, requested GMs to run games at the table run by NTRPG Con in the room (we have 2 gaming tables in the room - one for us and one for the con, but we can request GMs for the NT table), podcasts that are interested in reserving time at one of our 2 vendor tables, blogs that want to be represented (either with banners, flyers, small giveaways, in person or other), small publishers that might want a piece of the 2nd vending table and much more. The more being simple members of the community that want a voice in a little corner of the OSR universe for 4 days in June of 2016. 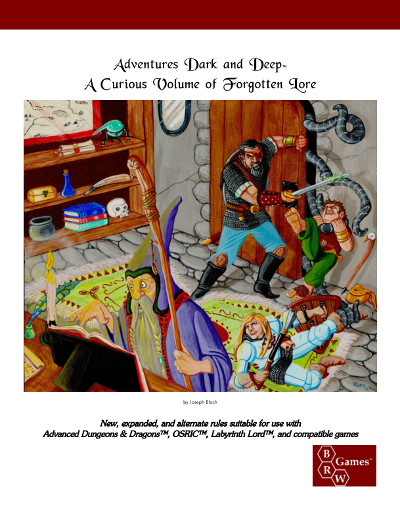 Hopefully we can also use the room as a meet-up for OSR bloggers, podcasters, small publishers, readers, listeners, consumers and the like. 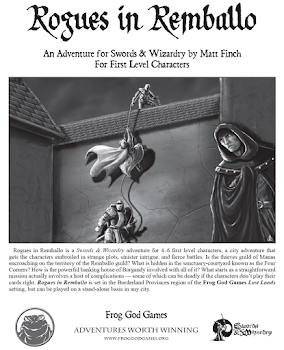 If you are going to be at NTRPG Con in 2016, I'm hoping you'll participate in the Tenkar's Tavern - NTRPG Con Mini-Con Community on G+. More importantly, I hope to see you there. If you aren't going, you can still participate. 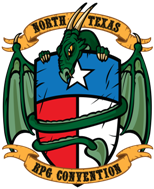 There's been talk of arranging some live (or nearly so) podcasting or video-casting from NTRPG Con, and if the logistics work out, the Tenkar's Tavern Mini-Con will be in the thick of it.